When did the “goal” of our creations cease to be for the “fun and the playfulness of the experience” and shift into “achieving and striving” to arrive at our preconceived destination? Our re-emergence into a lifestyle by deliberate design to resurrect our happiness and well-being is an ancient but, at the same time, a new paradigm (not activated in the modern world) as outlined in previous newsletters. I say ancient, because we are, and have always been created with all the qualities we desire to come forth and be magnificent. In the earliest of days, we lived intuitively from this place of thought consciousness without the slightest bit of resistance. We were one with ALL THAT IS. We were creating our heart’s desires based on the singular premise of freedom and love. Since our inherent nature is toward creative expansion, we did just that. We expanded and expressed our creativity in a tangible form such as tools, implements, strategies for survival and, of course, the “word” or “language”. Communication had inferences, multiple meanings and individual’s interpretations of the word to support their personal perspective. Misunderstandings blossomed out of the written word or language. We started to take things literally with a level of exactness that tainted our impressions of who we truly are. We forgot our inherent nature of EVERYTHING GOOD. Misunderstandings solidified our perception that we are separate and we traveled down that road for centuries. We are returning home now to that quintessential place to draw forth our beauty and to yet expand into a world based on Love, Freedom and Peace with CAPITOL letters so there is no error in intention. This feels, to me, like a huge ocean liner changing course. We are all on board or supporting the ocean liner in its shift in direction. The difference is that there is no longer one captain. We are all a vessel and we are our own captains. We have the fortitude, consistent practice, focus, and desire to move in the direction of our intentions for the greater good. The contrasting happenings around the globe will serve to offer the clarity of what we truly desire. The people who are focused on the happenings that the masses currently define as “tragedies” will be uplifted by the perspective of pure positive energy (in physical form or otherwise) that exude the truthful “knowing” that we are all well. We will grow in our intuitive nature and learn that these “happenings” are here to serve us, to wake us up, to allow us to more clearly define what it is we want to create. These goals or yearnings have a broader scope and impact. They are designed to create an awareness of your quintessential place, to unearth you. The career or the life circumstances that present themselves to you are simply the vehicle in which to explore the gifts. The arena which “brings to light” your true calling may or may not have to do with career. It may or may not have to do with your decision to stay in a relationship. It may have little to do with the tangible yet it will manifest tangibly once discovered. That is the magic. More likely, it has to do with an underlying principle that you feel is calling you to unearth. What I mean by “unearth” is allowing yourself to discover the eternal part of you that knows the whole of who you are. It might be in the area of relationship with self or others. It might be in the area of feeling a deep acceptance and appreciation of self and others. It might be experiencing yourself as successful, competent and strong. It might be pioneering a new path for mankind or being in a position of servitude which expresses the highest form of you! It might be feeling worthy. It might be experiencing yourself as patient and recognizing the true essence of others. It might be feeling your mind, body and spirit in a state of full well-being through the contrast of a body disharmony. It might be expressing your creativity in whatever form that is for you!! Fill in the blank after a few moments of meditation. I enjoy the feeling of LOVE and I know I am happier while exploring a relationship. Think of a relationship you have in your life right now. Place no limitations. It could be with the person who sells you coffee every morning, spouse, relative, friend or work colleague. A relationship is present in which you may experience varying degrees of love. The love you allow yourself to experience may not come in the package your presume. It may be surprisingly different. As you open to this experience, you are identifying that the love is here in the NOW. Before you may not have been able to see it but now you do!!! It is for you to uncover the jewels in the treasure chest. I enjoy feeling successful and I know I am happier when imagining my own business dreams. In the first moment you have an idea or an opportunity is presented to you, notice your internal reaction. Is it one of passion, excitement, interest and curiosity? If it is, that is your inner being attempting to “unearth” and to bring to light one of your underlying callings for this lifetime. It is your choice whether to follow or not. Take baby steps towards actions to incorporate the idea into your life. Think in terms of the fun of it. If fear surfaces, think in terms of taking inspired actions and making it only a small part of your life for now. If you feel excited and the universe is putting things in place, feel free to put more energy behind it. What I have learned and continue to learn is that there will be a new refreshing design and that is what you are creating now. It is something unique to you. It will be unique on the outside as well as the inside. You will feel like you are making an impact. Yes, you will be supporting a movement towards Peace Love, and Freedom. 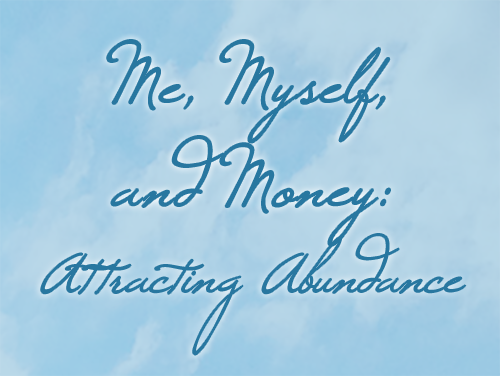 Your end goals will be fostering Peace, Love and Freedom and away from Money, Conditioning and Lack. It will be towards ease and away from struggle, towards fluidity and joy and away from pain and agony. Abundance and prosperity will be in the picture yet it will be an organic evolution. Whatever you do, it will be in the “bringing to light” humanity’s soulfulness. Thank you for your contribution!!!!!! This entry was posted in Blog on February 28, 2015 by darrynsilver.